Majority of Dublin’s luxury five-star hotels are in the city. This can be a plus if you prefer a busy location. However if you want seclusion without being too far away from the city, The Four Seasons Hotel in Dublin is a perfect choice. 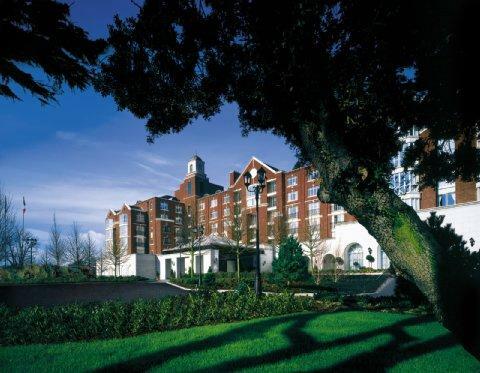 Located in the exclusive area of Ballsbridge, Four Seasons Dublin is set in a sprawling property, surrounded by embassies and next to the Royal Dublin Society Showground. It is 10 minutes by car to the city, and Four Seasons Dublin offers its guests limousine service from the hotel to anywhere in the city area starting 12noon onwards. I chose to stay at the Four Seasons for majority of our time in Dublin as it wasn’t too far from where TBEX Conference was (Doubletree by Hilton), and also, I knew the conference was going to be busy with early morning starts and late-night dinners/parties so I wanted to be very comfortable every end of the day. Concierge at the Four Seasons Hotel Dublin. Look at those pretty flowers! We arrived at the hotel just a little after 9AM and unsurprisingly, our room wasn’t ready yet. This certainly wasn’t a problem because we were leaving for a day trip anyway. So we left our bags with the concierge, who readily gave us updates every 5-10 minutes on how much longer the room will be ready. I loved the attentiveness and thoughtfulness to this. Even if they knew we didn’t really need the room just yet , they prioritised getting it ready. 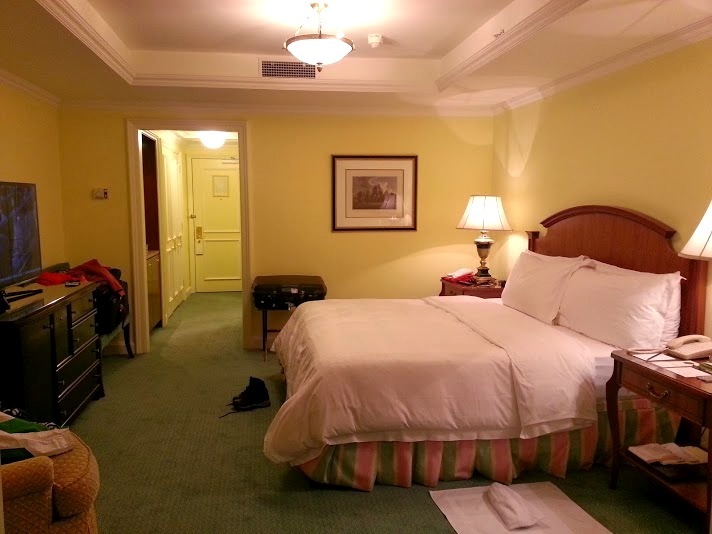 We booked a Junior Suite and I really enjoyed the size of it. We were given an offer to upgrade to a bigger suite for EUR 50.00 a night, which is a bargain, but we didn’t take it. 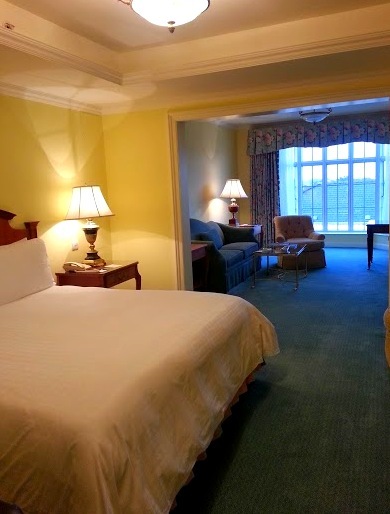 The Junior Suite’s size is just right. On first impression, I found the room decor slightly dated. However I realised that the “Wow” factor of the room is seen and felt at the duration of the stay. I find this impressive as most hotel rooms give a smashing first impression, which wanes later on when you realise that things were just great on first glance. True luxury is felt, and not just seen. Most of all, it lingers. 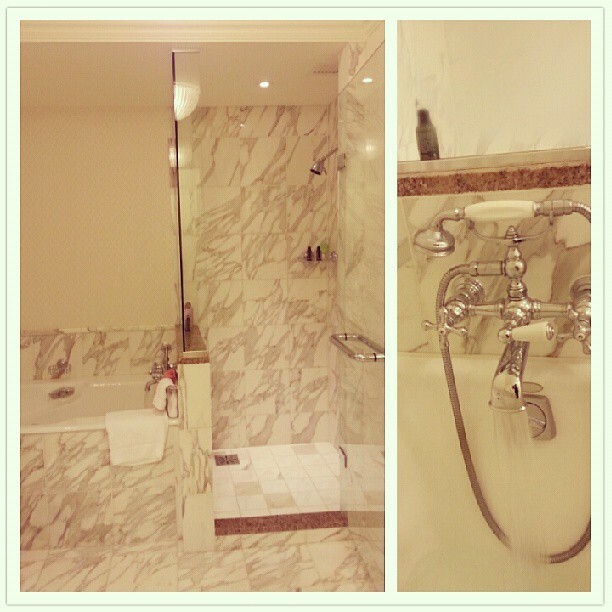 And this, I learned very well during my stay at Four Seasons Dublin. The floor carpet is plush and soft. 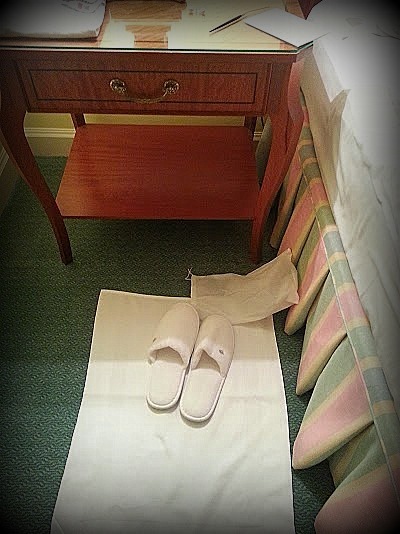 I didn’t need to wear slippers at all ( and I normally do on hotel rooms). The bed, very firm and comfortable. And pillows, in my books should only be 3 things : clean, firm, and fluffy- and the Four Seaons Dublin pillows ticked all 3. I slept very, very comfortably in this room. The living room area/ working space. There were ample power plugs and the 2 bedside tables had them too. What really stood out was the housekeeping service. It was IMPECCABLE. Even though I was out most of the day, I can tell that the housekeeping was done in such meticulous manner. It’s as if they re-do the entire room to get it ready for the next check-in, every single day. 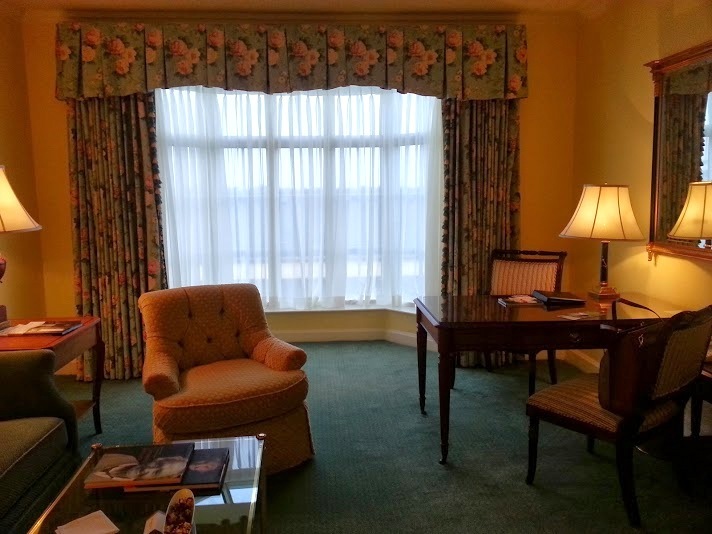 I even saw from Four Season Dublin’s Facebook page (FSDublin), the same time I was checked in at the hotel, housekeeping found a guest’s missing anniversary earring, and carefully placed it in a small jewellery box. And as for me, I had early morning starts and some days I got ready in a rush. Whenever I got back into the room, all my clothes were neatly folded (they even look pressed!) and my makeup tools were all lovingly put back in place. 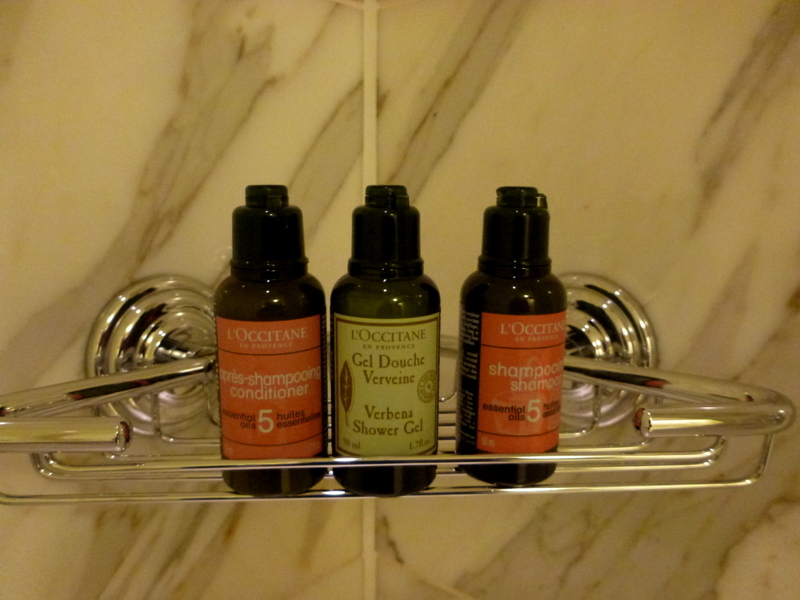 God bless the housekeeping of Four Seasons Dublin. Coming back into the room felt like day 1 of check in every time. Funny I mentioned that every time I entered the room felt like check-in day (when rooms are at its best). Because every single night, I had a welcome treat. Different ones too! Nightly treats for Holy Smithereens by Four Seasons Dublin. 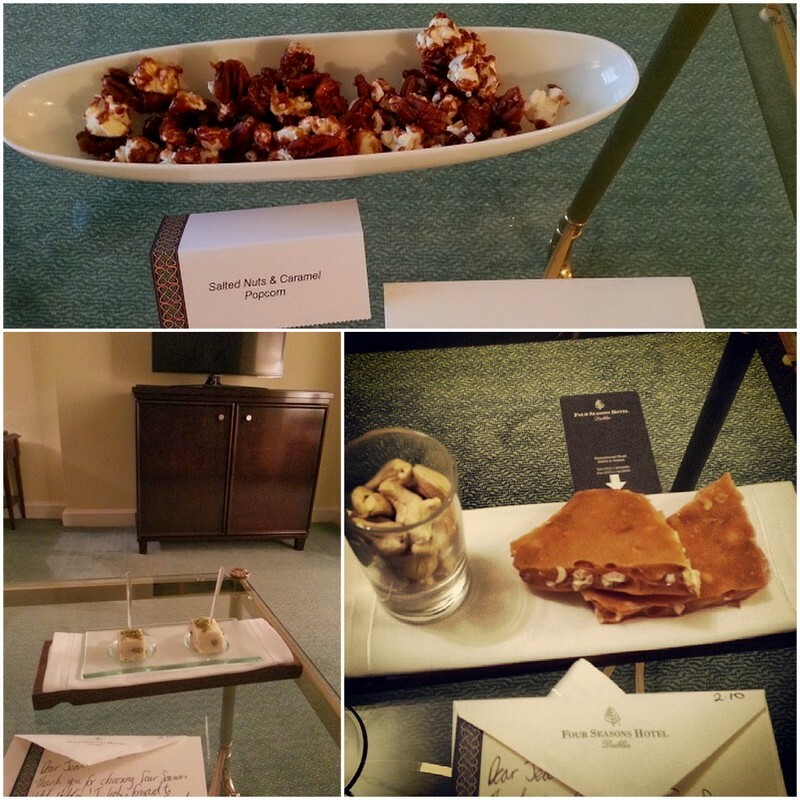 Salted Chocolate Nuts and Popcorn, Pistachio Nougats, Peanut Brittle and Cashews — I looked forward to these nightly treats every time I came back to my room! Bedroom slippers are laid out on the 2 bed sides every night. But as I mentioned I didn’t feel the need to wear them as the carpets were so plush! My favourite part of the room. 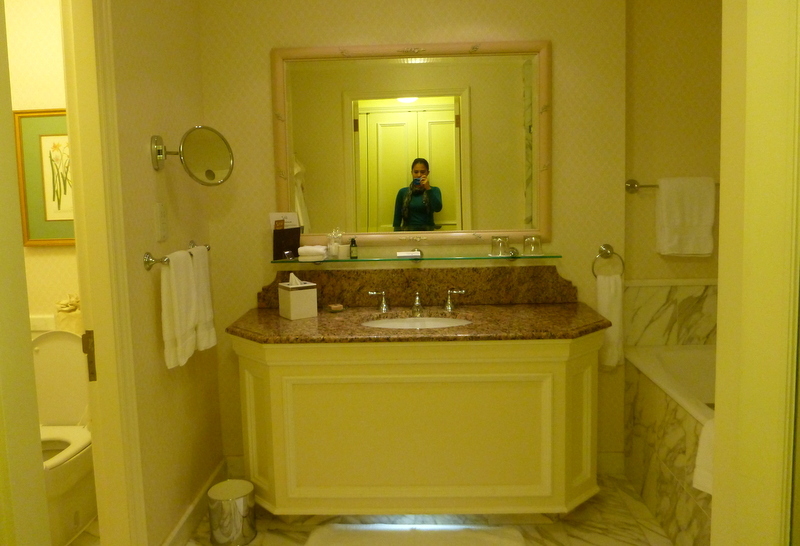 The photo below shows a yellow cast light but the bathroom lights were actually natural/white. It has a light at the bottom of the sink, which can be left on so you dont stumble your way in during the night. 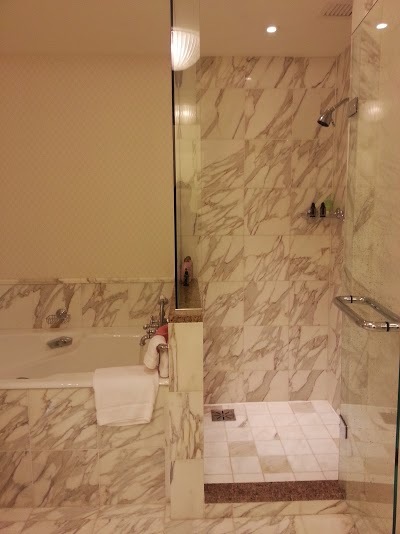 I love the white and grey marbling, gives such a clean and classic look to the bathroom. 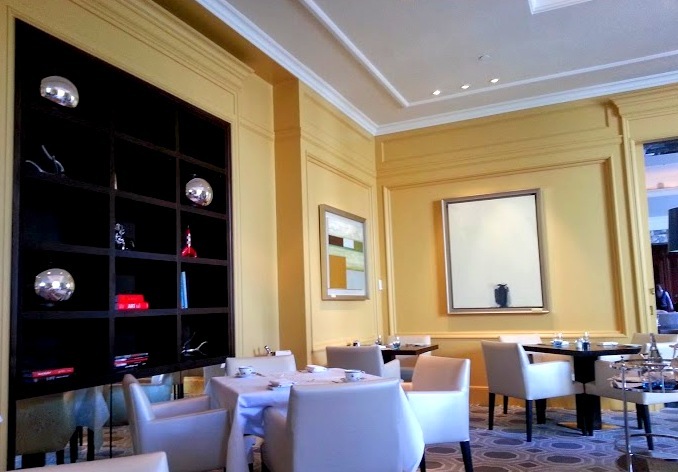 On our last day at the Four Seasons Dublin, we had lunch at the Reading Room. The Reading Room offers contemporary Irish cuisine along with locally sourced produce, meats, cheese and seafood. This lunch was just heavenly. 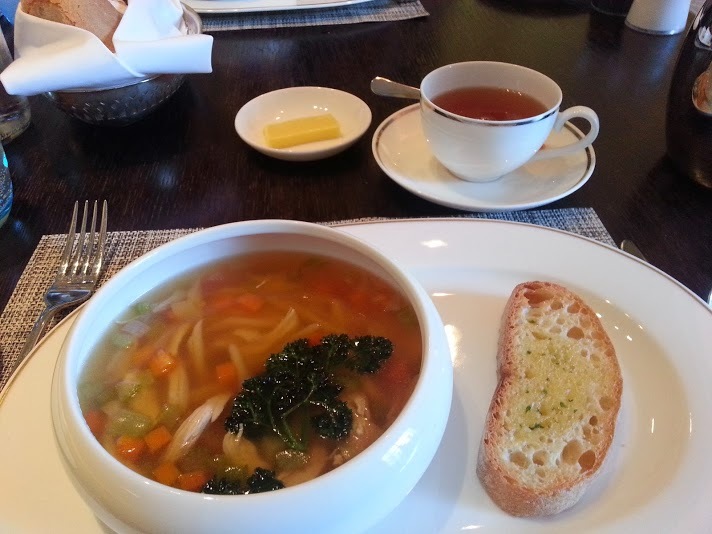 I had the Farmhouse Chicken Noodle Soup for starters – it had been raining the past days in Dublin at the time, the soup was just the right fix! The fried parsley added a nice touch to it. And for my main lunch I had the Maritime Seafood Board which had warm garlic brown crab claws (this was so delightful!) 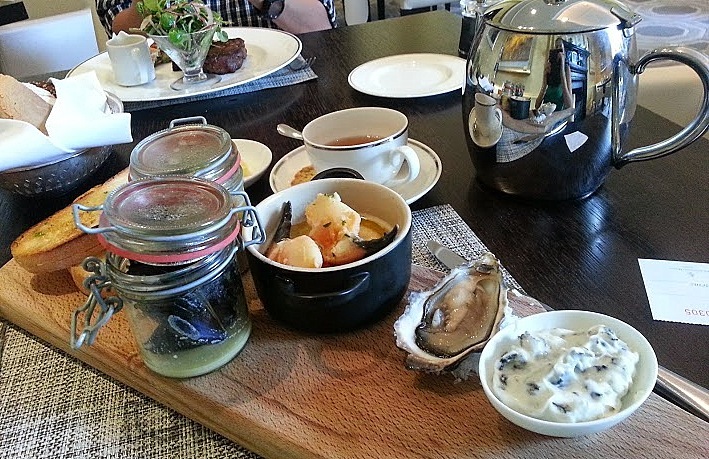 , chilled oysters, fragrant mussels, potted shrimps and seaweed kelp dip. Truly a memorable way to end my stay at the Four Seasons: Good food! I also had the pleasure of meeting Raquel, the front hostess of the lobby. 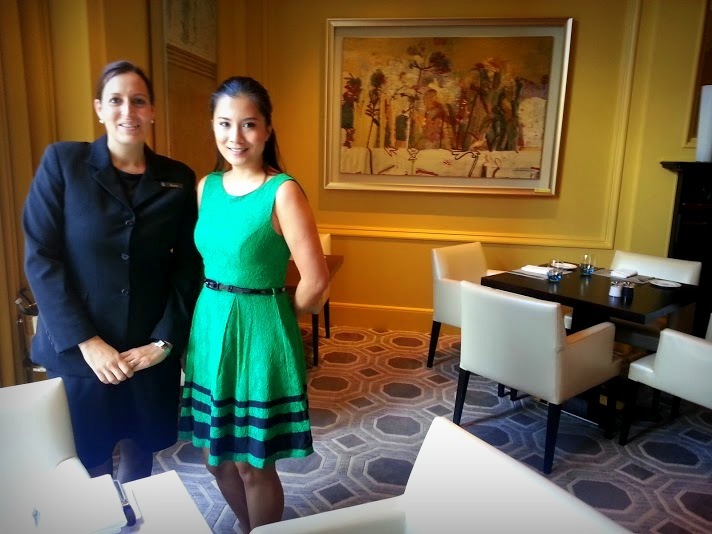 I saw a feature of her a few days back on Four Seasons Dublin’s Facebook page. And no wonder she was featured- she gave such a warm and personalised customer service. You can really tell when someone takes pride in what they do, and Raquel is one of those people. I know the Irish are all normally warm and friendly, but a number of the staff at The Four Seasons Dublin do make your stay feel extra warm. Another staff with great customer service worth mentioning is James, who comes all the way from New Zealand. We just happened to be on the lift with him yet in that short time, he already managed to engage conversation with us, made us feel welcome, and offered assistance should we require it at anytime. This is customer service that isn’t contrived. You can feel that staff are generally happy in their workplace and I liked this about Four Seasons Dublin. 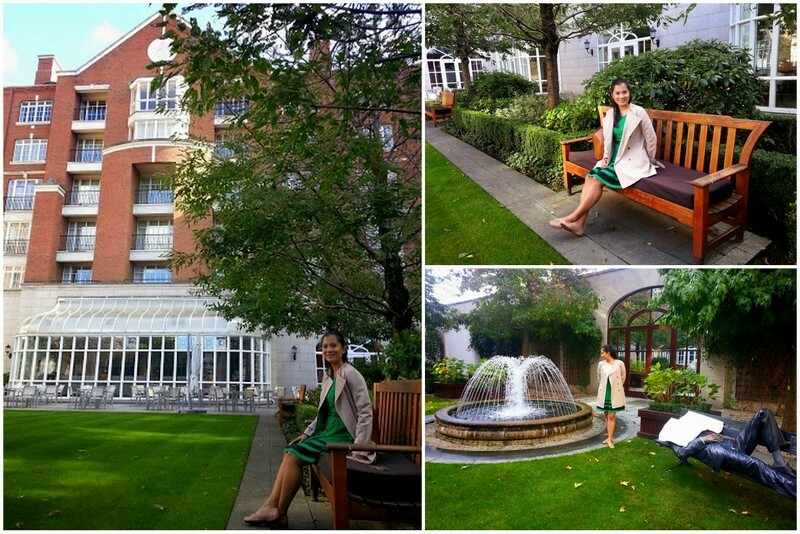 The grounds of Four Seasons Dublin are well manicured and very green. Fashion shoots are normally held in the courtyard, and there are a number of quirky life-sized statues in random poses around the area. It gives the hotel a nice little break from the classic five-star atmosphere. Hotel luxury is more than just “room-value”. 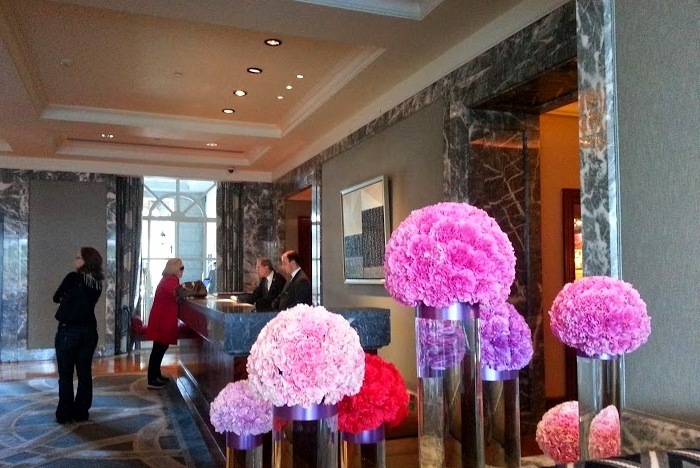 The service, amenities and the hotel property as a whole of the Four Seasons Dublin gives guests more than enough reasons to keep calling it their home when in Dublin. 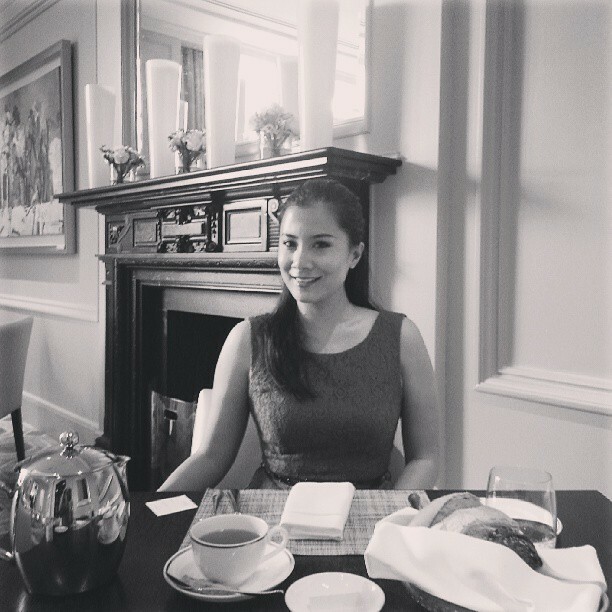 Disclaimer: While we were hosted for lunch at the Reading Room, we paid for our stay at The Four Seasons Dublin. You clearly know what defines luxury, as do Four Season Dublin! I’m dying to stay there myself. Hope to see more sleek, stylish stay suggestions on Triptease soon! Great write up and really interesting reflection on what made the rooms feel special. Hi Andrea! We were at the Wild Wicklow tour together! 🙂 Thanks for visiting. yeah i remember the hot water issue you had at the burlington/doubletree, i hope that was only a one-off.But your location certainly couldn’t be beat! are you going to next year’s tbex?